It was snowing lightly at the upper area this morning. There was almost no wind but it was really chilly. My hands went numb while I was taking photos. The slopes started getting crowded just after they opened as we had Asaichi Risen (Early Morning) today too, on the last day of the three-day weekend. 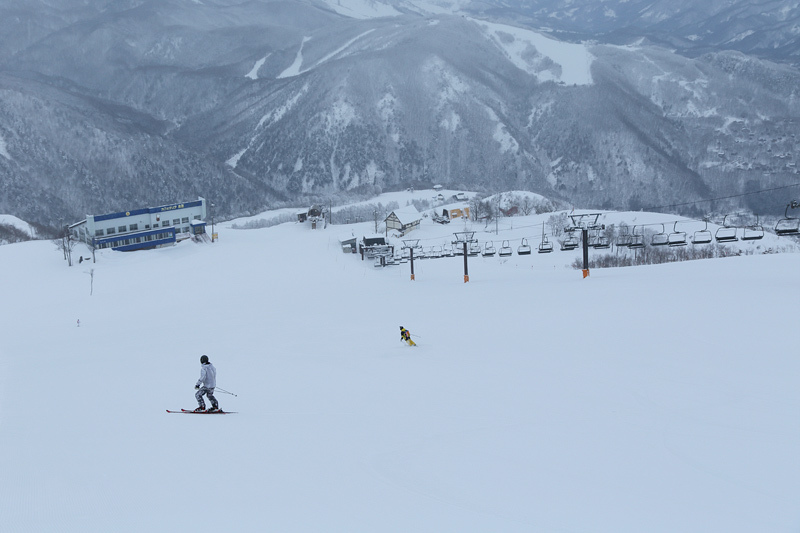 Powder snow was nicely firm at the well-prepared area along Kurobishi No.2 Quad. My ski edges cut into the snow well and I enjoyed making turns as I liked. Advanced skiers/snowboarders looked cool, making sharp turns. The compacted slope on the southern side of Usaigidaira was a bit hard around the starting area, however, it turned nicely firm at the middle and last area. The compacted Skyline Course was firmer than the area along Kurobishi No.2 Quad and I enjoyed gaining speed. There were some ups and downs on the non-compacted area. They were nicely soft because the temperature had been low although we didn’t have any snow from yesterday afternoon till this morning. Kitaone Rinkan Course was nicely firm. 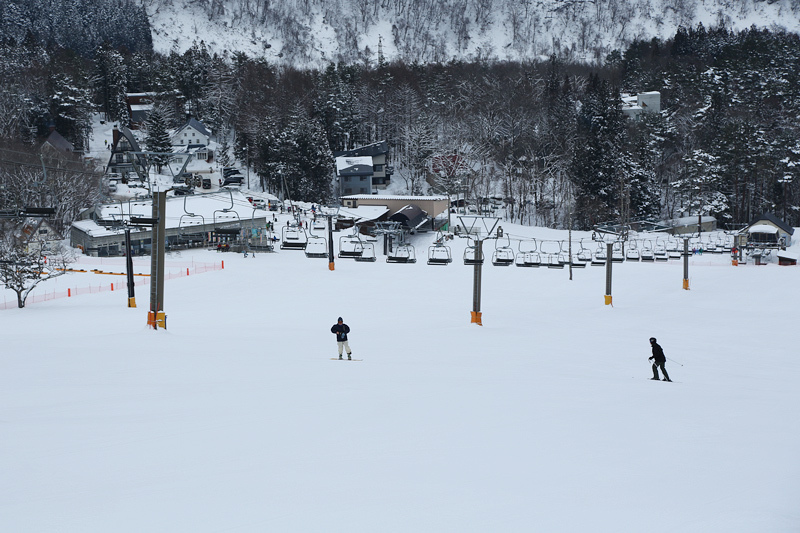 There was no powder snow at Sakka Slope but it was also firm and great. 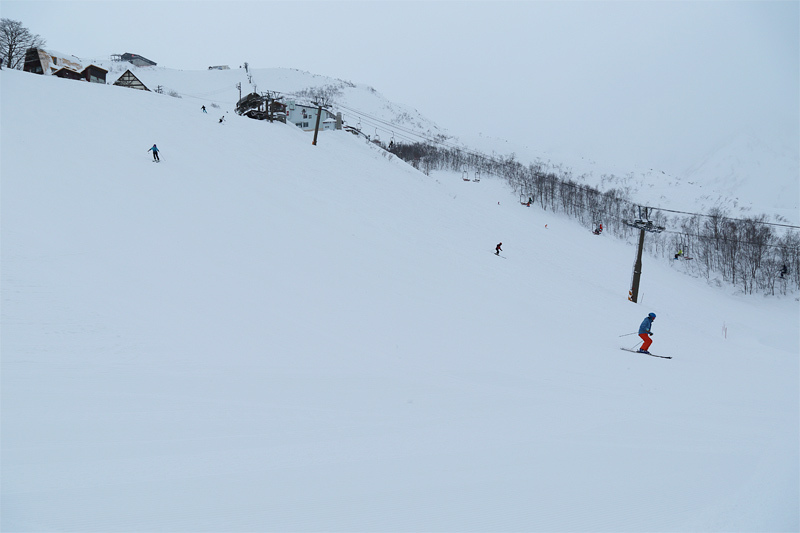 The non-compacted steep slope of Kitaone had some hard moguls, which was difficult to go down. 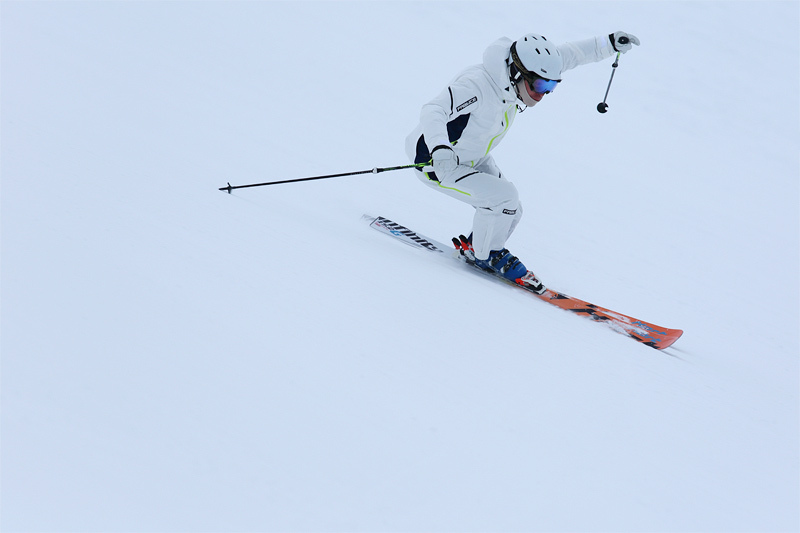 * Early-morning Skiing … Feb. 9–11 and every Sunday from Jan. 20 to Feb. 24: Nakiyama No.3 Triple starts from 6:40 a.m.